View the Town's "Welcome to Silt" video! Please read the Opportunity Zone Press Release! 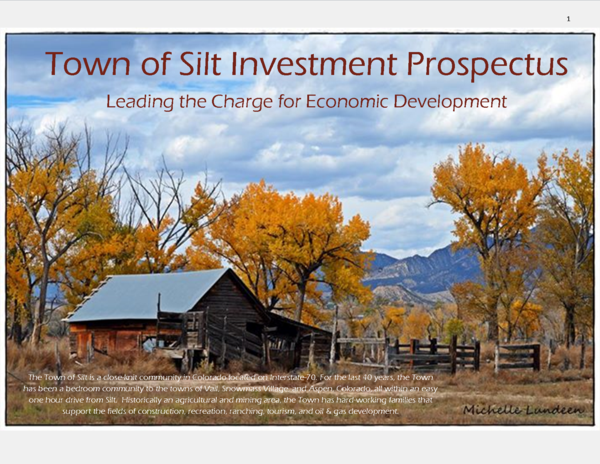 Town of Silt Opportunity Zone Prospectus! Contact Town Administrator Jeff Layman today at (970) 876-2353 Ext. 103, to discuss your business proposal!